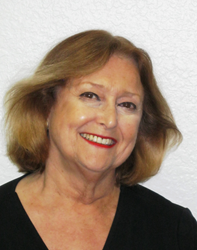 Helen C. Surovek, a licensed real estate agent in the Fort Lauderdale, Florida, market, has rejoined the prestigious Haute Residence Real Estate Network. The Haute Residence Real Estate Network (Hauteresidence.com), affiliated with luxury lifestyle publication Haute Living, is proud to continue its partnership with Helen C. Surovek, recognizing her as a prominent real estate professionals. Haute Residence unites a distinguished collective of leading real estate agents and brokers, highlighting the most extravagant properties in leading markets around the globe for affluent buyers, sellers, and real estate enthusiasts. Helen C. Surovek has 28 years of experience in real estate on Florida’s lovely gold coast selling luxury residences and commercial investment properties to customers from all over the world. Having the right real estate agent means having an agent who is committed to helping you buy or sell your home with the highest level of expertise in your local market. Helen helps customers understand each step of the buying or selling process. This level of commitment has helped her build a remarkable track record of delivering results. Nothing is more exciting to Helen than the gratifying feeling she gets from helping people meet their real estate needs. You can count on her to always do what’s in the customer’s best interest. She prides herself on being honest, trustworthy, and knowledgeable in the real estate market. Helen knows how important it is for a client to find their dream home or to get the best offer for a property. She makes it her responsibility to help every client achieve those goals. “Helen’s help was invaluable and I am still now recommending her services to all my friends in Switzerland. I have never seen a better approach to customer management and to getting things done. Helen’s help was a key factor in our decision to buy.” –– Professor Z. Jan Kubes, professor of business policy for Fortune 500 companies and a partner in McKinsey & Company for 15 years. The Haute Residence Real Estate Network (Hauteresidence.com) offers readers the most prominent directory of experienced realtors, brokers and luxury listings and has grown to be the number one source for real estate news, residential developments, celebrity real estate news and more. Seeking an experienced interior designer? Hauteresidence.com is also home to Haute Design Network, a collective of celebrated interior designers that will help you decorate your new home or stage an active listing.